While travelling more dragons were encountered and seemed an appropriate addendum to a previous post. 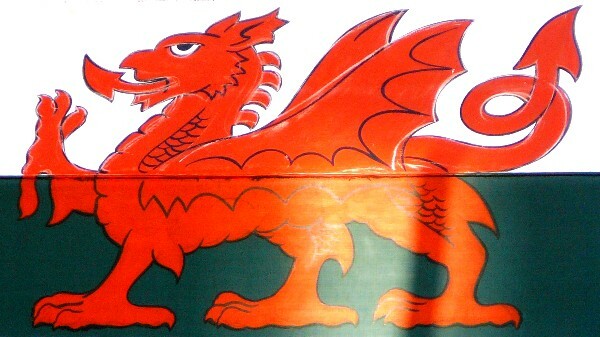 In that post I had intended to include mention of the iconic Welsh dragon but did not have a picture, since it has been encountered on quite a few occasions, such as this sign that was on a shop in Llangothlen. Many red dragons featured on flags as well as on the toiletry items,gifts,and jsut about every article imagineable. 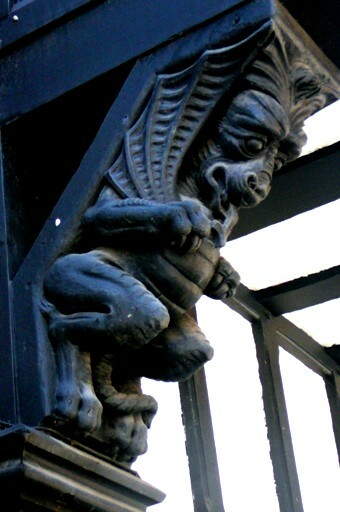 Another dragon is this medieval carving that decorated a building in Chester, on the border with Wales. In the past there were many skirmishes and defences were erected to repel the Welsh raids. 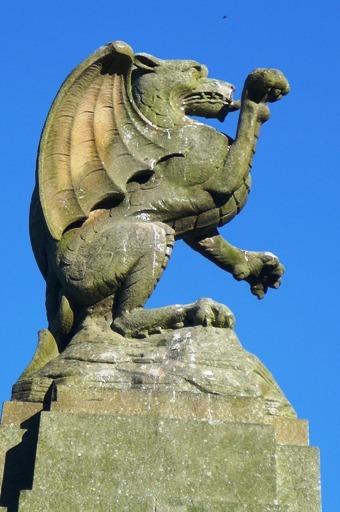 It was here that the story of George and the dragon came to mind and I realised that it could be an ancient oral account of the defeat of the Welsh by the English, much like the myth of Saint Patrick driving the snakes from Ireland. Accounts that used symbols which in time were perhaps taken too literally. Carved from stone this fellow sat in the market square in Caernarvon,Wales, in front of the Castle, greeting and guarding. 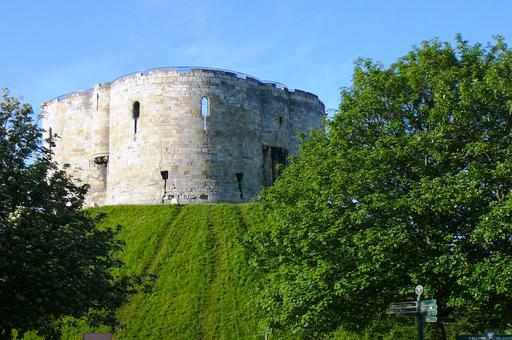 Castles and dragons are much connected ,this one at York ravaged by time and who knows maybe it incurred the wrath of a dragon, dragons or greed,envy and religious differences. Is your mind falling tumble, bumble, pall, mall into wool ideas to create when you come home? Hope you continue to delight in whatever surrounds you. Wonderful dragon pictures and I hope your trip is going well – enjoy it all.